“NZSSC, in particular, will benefit from the merger by having access to the expertise and shared resources that Choirs Aotearoa already provides its other two national choirs,” says Linda Webb, former Chair of the NZSSC Board, which will now merge into the Choirs Aotearoa New Zealand Trust. A unified organisation opens up new conversations with funders and sponsors. Outreach programmes will also be extended—incorporating schools across all levels. While the merger will see more collaboration and growth, each choir will still retain its own identity and artistic freedom. The three choirs will perform together at the New Zealand Choral Academy at Auckland Anniversary weekend, marking a new era for choral music in this country. 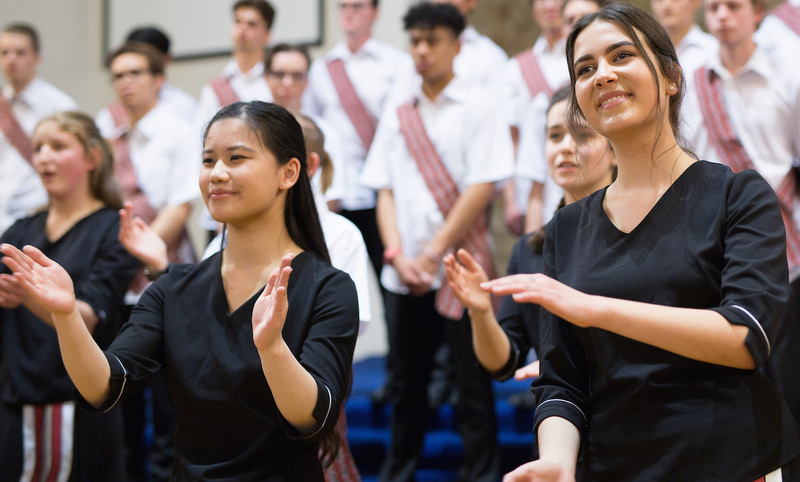 The Choral Academy will offer aspiring singers from across the country the chance to work alongside the three choirs for a weekend of fun and inspiring workshops and performances. Participants will be separated into age groups that align with each choir, and get to sit-in or work alongside them. They’ll experience the highest level of tuition and gain an understanding of the journey of a choral singer in New Zealand. The Academy is open to singers across the country, anyone can join in. Register here. Acclaimed conductor and composer Tecwyn Evans sang in both NZSSC and Youth Choir. Now based in Sweden with his wife, soprano Susanna Andersson, Tecwyn will be leading the group mirroring Voices. Robert Wiremu was in all three national choirs and is a former director of NZSSC. He’ll be involved with the NZSSC group. Youth Choir will be working with conductor Michael Stewart.